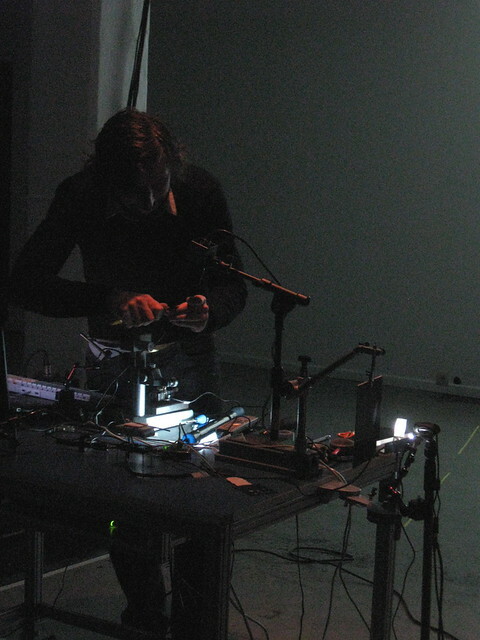 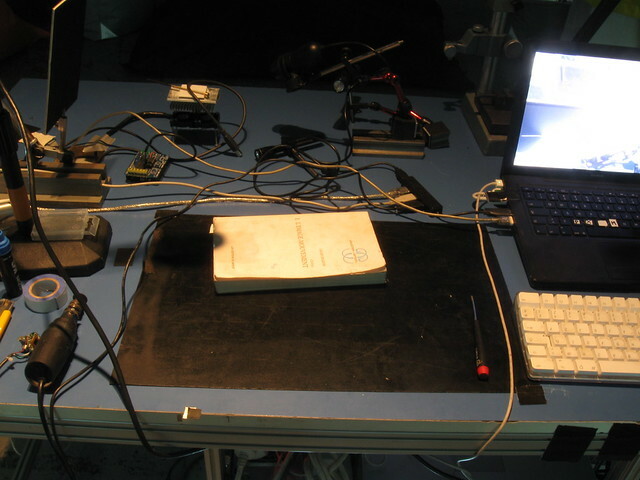 Julien Maire revisits the public sessions of anatomic dissection from the 16st century with a performance where he will open some machines of vision such as cameras and webcams. 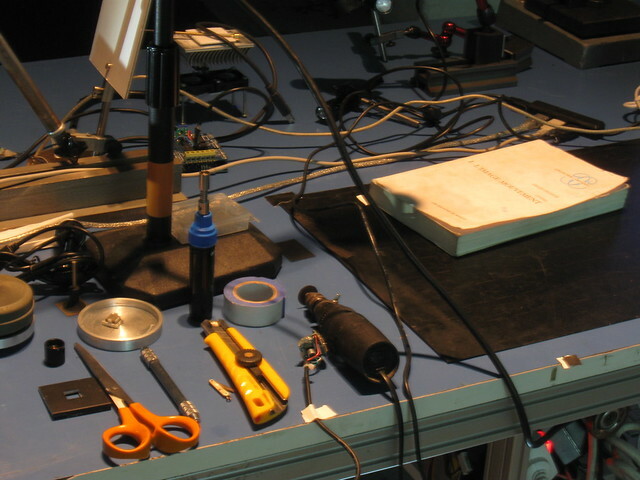 We will assist to the elongation of the cables, the diversion of the light, the progressive destruction of the connections. 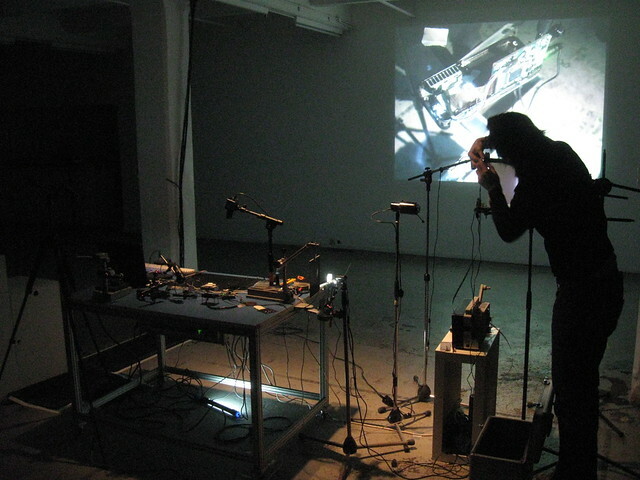 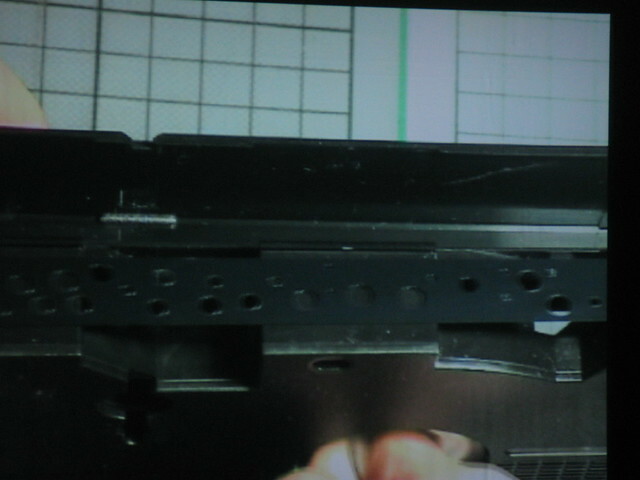 The organs of the machines are exchanged, transplanted to gradually build prototypes of new hybrid instruments. 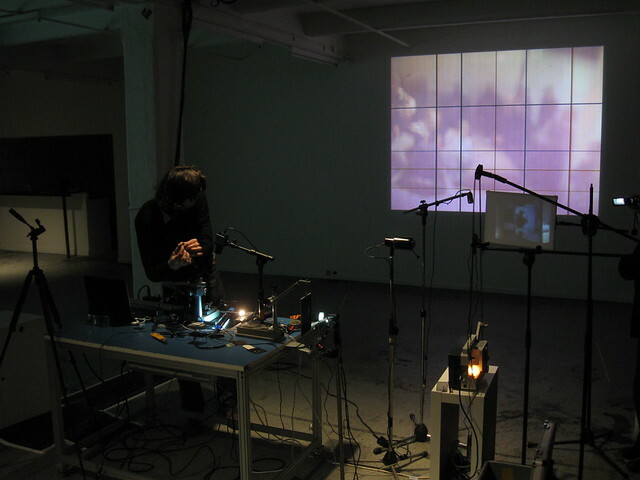 "Julien Maire , 1969 (F-DE) lives and works in Berlin. 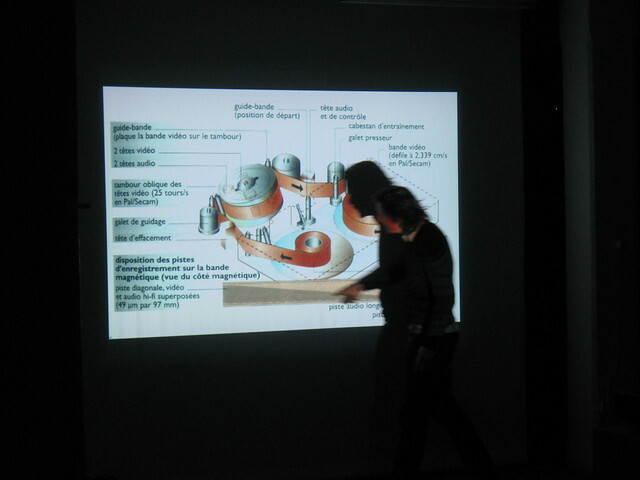 Studied Fine Arts in Metz (F). 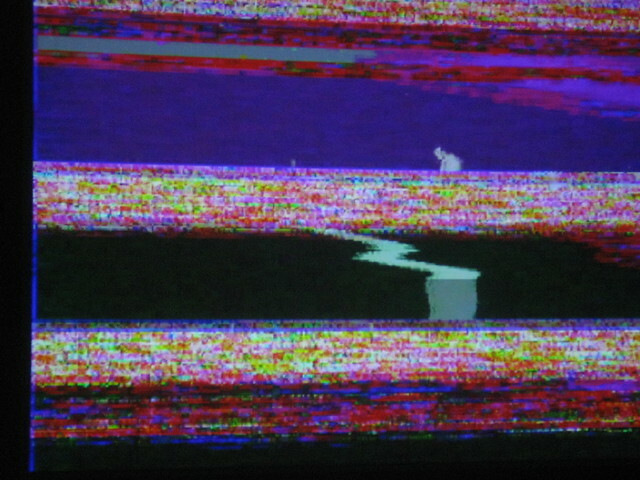 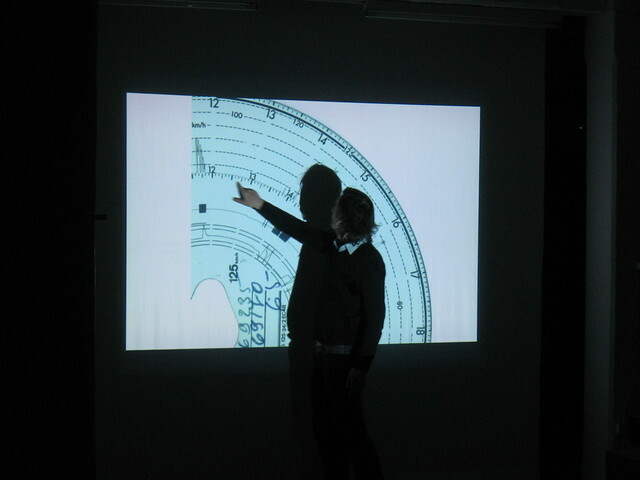 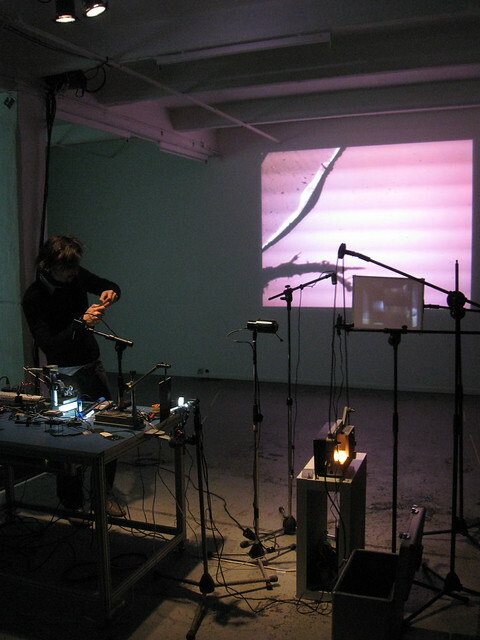 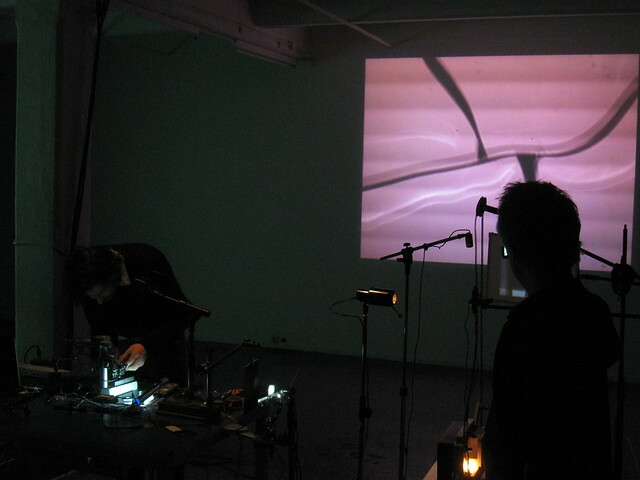 Artist and performing artist, his work deconstructs and re-invents the technology of audio-visual media. 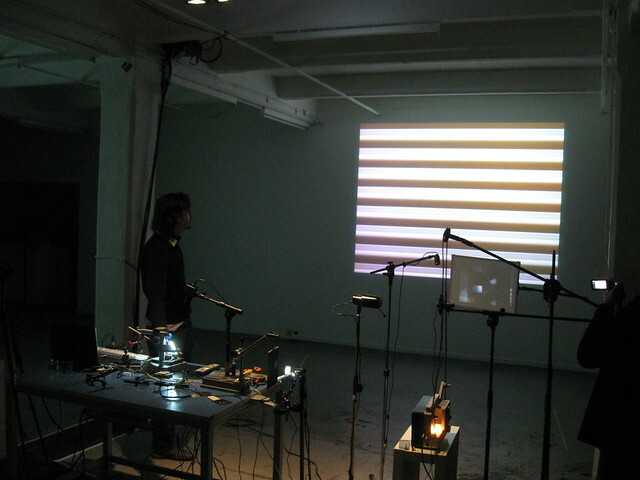 He renews obsolete cinematic techniques or develops alternatives interface to produce moving images. 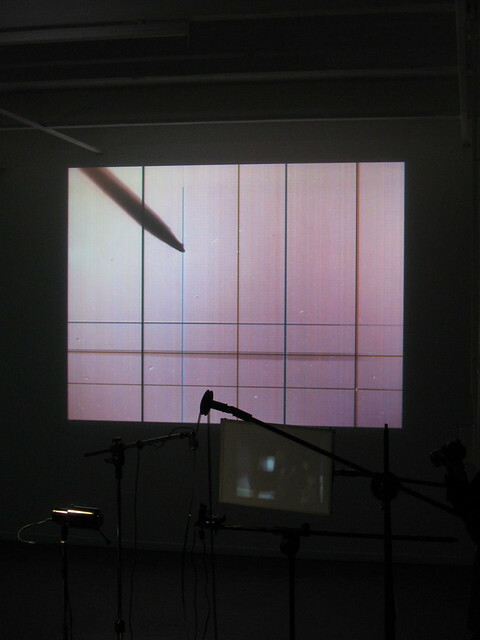 His research confront immobility and movement, reality and fiction and interrogate the notion of time and memory in the film image. 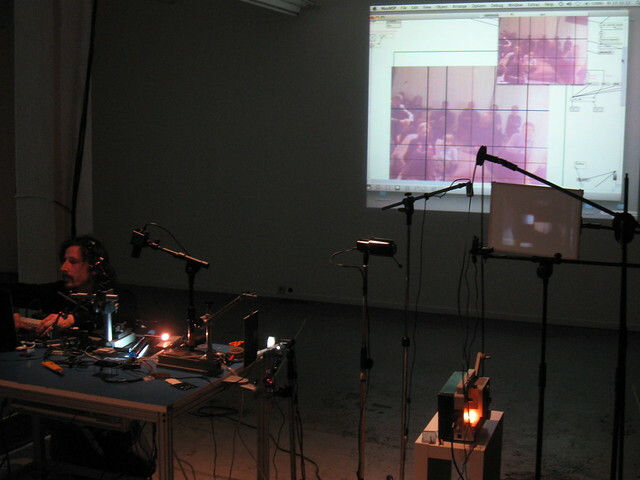 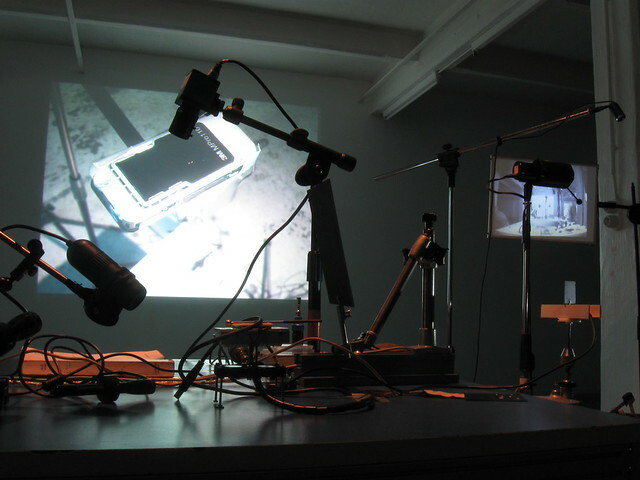 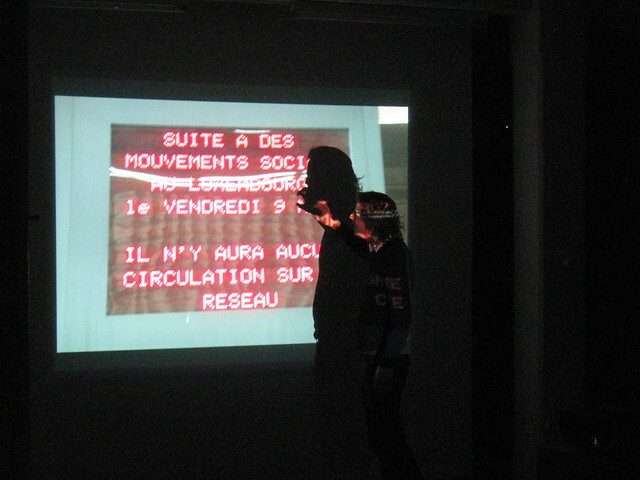 Honorary mention in Ars Electronica 07, Award of New Media Art from the Fondation Liedts-Meesen in 2008. 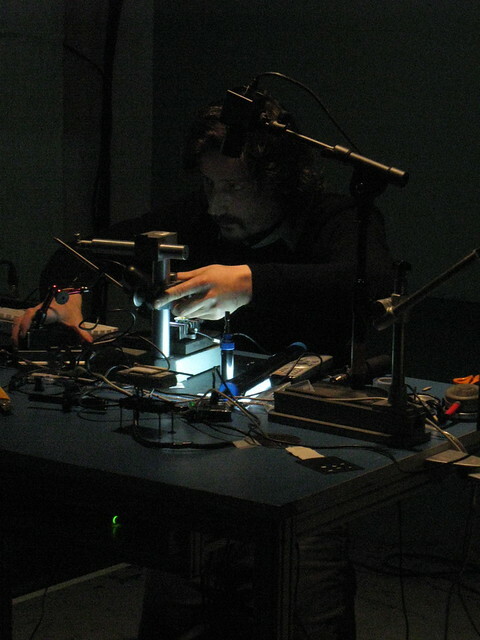 His work was nominated for the "World Technology Award" in New York in 2009." 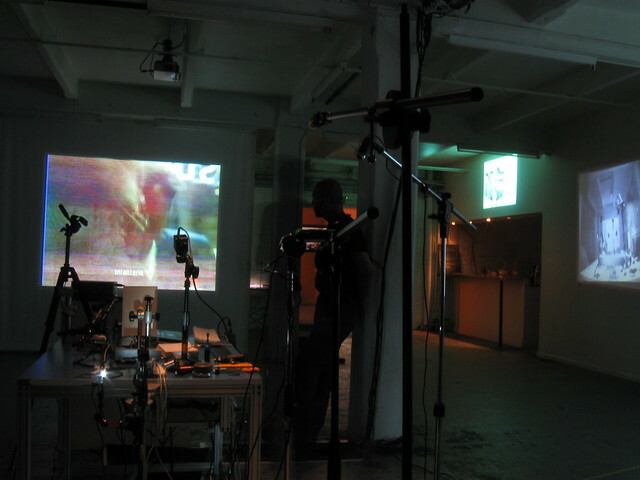 Produced by DOCK Berlin e.V., supported by Haupstadkulturfonds.